Is The Lamborghini Aventador A Potential Fire Hazard? In Australia at least, yes. Supercars are known from time to time to catch on fire for a host of reasons. The Ferrari 458 Italia was infamously one of them. And now it could be the Lamborghini Aventador’s turn. 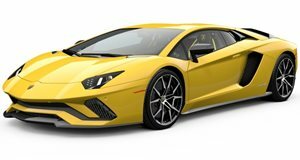 Car Advice has brought to attention an official recall issued by the Australian Competition and Consumer Commission’s product safety website for 2012 to 2017 Aventador Coupes and Roadsters. Turns out this recall involves "fuel possibly reaching the vehicle’s carbon canister, if the fuel tank is overfilled and 'particular handling conditions occur.'" The problem, according to the ACCC is that "if this occurs, it may stop the EVAP (Evaporative Emission Control) system from managing fuel vapors correctly, potentially allowing them to make contact with hot gases from the engine, especially if a non-approved aftermarket exhaust system is fitted." Translation: "If the gases and fuel vapors make contact, there is a risk of fire." A total of 104 Aventadors in Australian are affected by this, but we don’t know yet whether or not this is a global problem. 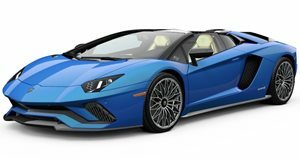 In addition to the “standard” Aventadors, every single special edition examples are included in the ACCC’s notice, including the super rare Veneno Coupe and Roadster, Miura Homage and Aventador J. Obviously if this is a global issue, all affected Aventador owners will be directly contacted by Lamborghini, so consider this as sorts of a heads up. But just to be safe, Aventador owners everywhere should get in touch with their local Lamborghini dealer to try to find out more. Really, the last thing you’d want if for the car to go up in flames (especially if you’re in it).